An 18-year-old Palestinian male was shot dead on Friday by Israeli military forces during clashes near Ramallah, according to the Palestinian Health Ministry. Two others were wounded by live fire and taken to nearby hospitals, the ministry added. Palestinian officials identified the fatality as Mahmoud Yusef Mahmoud, from the Jalazun refugee camp. Meanwhile, 46 Palestinian protesters were reported wounded on Friday during clashes with Israeli forces on the Gaza border. Several Palestinians crossed the border into Israel, but Israeli forces forced their return to southern Gaza Strip shortly thereafter. 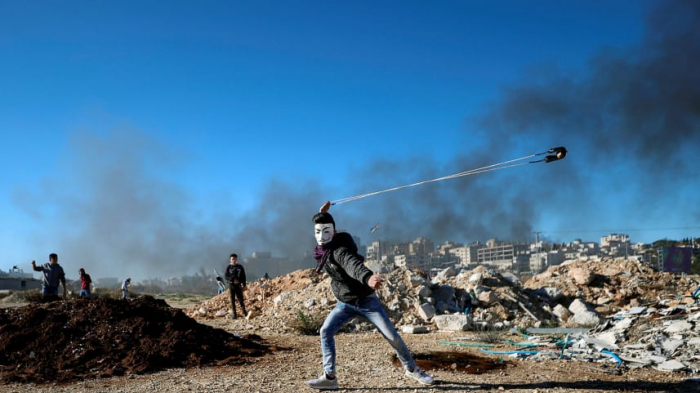 Following several attacks against Israeli military and civilians in the West Bank during the past week, the Israel Defense Forcesannounced forces were bolstered in the area, particularly around Israeli settlements. 120 mobile shelters were erected in about two dozen bus stops on West Bank roads. The Israeli army said it operated in Ramallah on Thursday night as the manhunt continues for the shooters responsible for a deadly drive-by attack in which two Israeli soldiers were killed and another two were wounded, and in which the perpetrator stole a soldier's weapon before fleeing. The man, who suffered severe head trauma and went through complex surgery, is still in intensive care and in life-threatening condition. The woman, Shira Sabag, is improving and expected to move to a regular ward later on Friday.